Wednesday, March 6, 3:00 p.m. to 5:00 p.m.
Join other faculty, students, and staff in a casual, friendly environment with free refreshments and excellent conversation. 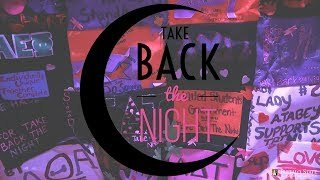 These mixers provide an opportunity for members of the campus lesbian, gay, bisexual, trans, questioning, and ally community to informally meet and strengthen their visibility at Buffalo State. Wednesday, March 6, 7:30 p.m. The Ovation Wind Quintet will perform “An Evening of Debussy and Others.” Admission is $10. Call (716) 878-3005 or order tickets online. The Ovation Wind Quintet, composed of Western New York musicians, formed in October 2017. They perform a broad repertoire, from the classical period to modern commissioned works. Thursday, March 7, 11:30 a.m. to 2:30 p.m. The Job and Internship Fair is open to all current Buffalo State students and alumni. All majors and class years are encouraged to attend. Over 60 employers from local, regional, and national organizations will be in attendance to recruit for full-time jobs and paid internships. Additional information can be found on the CDC website. Thursday, March 7, 7:30 p.m.
Pianist Keith Kirchoff will perform “Sonic Reflections.” Admission is $10. For tickets, call (716) 878-3005 or order online. 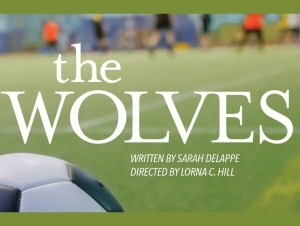 The Buffalo State Theater Department and Casting Hall Productions present the award-winning play The Wolves, written by Sarah DeLappe. The Wolves follows a team of girls preparing for battle. Challenging the depiction of young women in stories (often uniformly girlfriends, sexual objects, or dream girls), these girls are placed in a larger idiosyncratic web of unique identities: daughters, scholars, students, athletes—but most importantly, warriors aiming to win! Performances will continue March 8–9 and March 13–16 at 8:00 p.m. and March 16 at 2:00 p.m. Admission is $15 for the general public, $10 for seniors and students. Advance tickets are available online, by phone (716) 878-3005, or in person at the Rockwell Hall and Student Union box offices. Saturday, March 9, 2:15 p.m.
Buffalo State College welcomes an afternoon workshop and recital with the Niagara chapter of the Society of Ethnomusicology. Buffalo State West African Drumming Ensemble and Fredonia students will be performing. The event is free and open to everyone. Faculty members Kim Chinquee and Irene Sipos will present their work as part of the David Lampe Poetry Series. The event is free with museum admission.